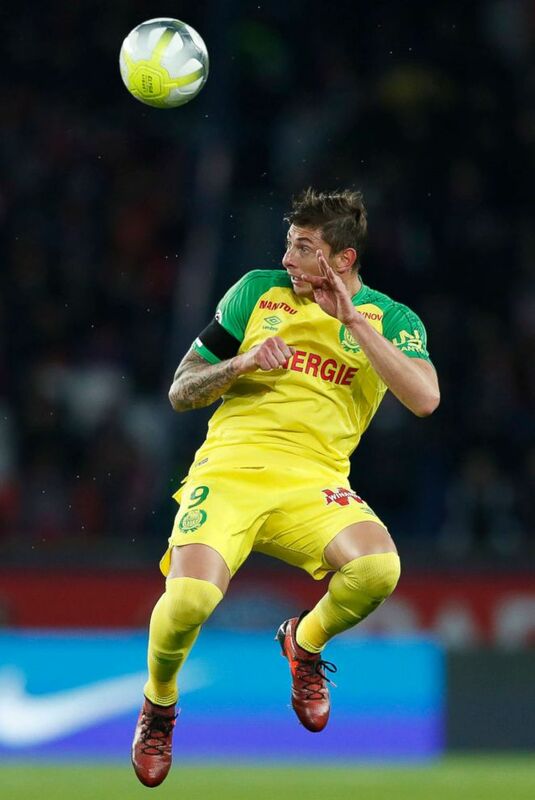 ABC NEWS — Argentine soccer player Emiliano Sala was aboard a private plane that went missing over the English Channel on Monday night, French police confirmed to ABC News. One other person was travelling with Sala, 28, on the PA 46 Malibu, a single-engine aircraft, from Nantes, France to Cardiff. Sala had been due to meet his new teammates at Cardiff City after the club purchased his rights on Jan. 19 from FC Nantes for a club-record fee, believed to be around $20 million. An aircraft search operation was launched Monday evening and resumed Tuesday, Guernsey police announced on Facebook . The plane went missing around 15 miles off north of Guernsey, an island in the English Channel. There are currently two helicopters, two planes and one lifeboat in operation on the English Channel. The Guernsey Coastguard received an alert from Air Traffic Control at around 8:23 p.m. local time that the plane had gone missing from radar. British authorities confirmed they were working with their French counterparts as part of the operation. The search was canceled at 2 a.m. Tuesday "due to strengthening winds, worsening sea conditions and reducing visibility," but was resumed around 8 a.m. The aircraft departed from Nantes Airport for Cardiff at 7:15 p.m. It lost contact with Jersey Air Traffic control after requesting descent while flying at 2,300 feet. The chairman of Cardiff City soccer club issued a statement saying he was "very concerned" about Sala. "We are very concerned by the latest news that a light aircraft lost contact over the Channel last night," said Chairman Mehmet Dalman, according to Wales Online . "We are awaiting confirmation before we can say anything further. We are very concerned for the safety of Emiliano Sala." Waldemar Kita, club president of Nantes, told French media outlet CNews he didn't have any additional details and he was "hopeful they find him." "[Sala is] a polite, kind, adorable boy, loved by everyone," he said. "He was always very respectful, very courteous. I'm thinking about his family, all his friends. We still don't know about all the rest. I'm still hopeful it's not over and that he's somewhere. Sincerely, he's an adorable boy." FC Nantes posted a video tribute to the popular striker after he was sold to Cardiff City, saying "Thank you Emi, forever yellow and green," referring to the club's official colors.